Should I ask for voicemail or should I leave my message with the receptionist? And, if I opt for the receptionist, what do I say? Author bncaponiPosted on July 29, 2018 Categories Best Practices, Effectiveness, EfficiencyTags Email, message, receptionist, VoicemailLeave a comment on Should I ask for voicemail or should I leave my message with the receptionist? Dial by name directories – should I use it or not? Or should I hit ‘zero’ and be connected to the operator? Author bncaponiPosted on July 29, 2018 Categories Best Practices, Effectiveness, EfficiencyTags dial by name directory, Email, VoicemailLeave a comment on Dial by name directories – should I use it or not? “It’s personal.” Is that a good message to leave for a decision maker to get them to call you back? Author bncaponiPosted on April 27, 2018 Categories EffectivenessTags VoicemailLeave a comment on “It’s personal.” Is that a good message to leave for a decision maker to get them to call you back? 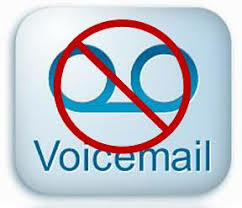 Nobody returns voicemails anymore…or do they? Caller ID and the Mystery Cold Caller. 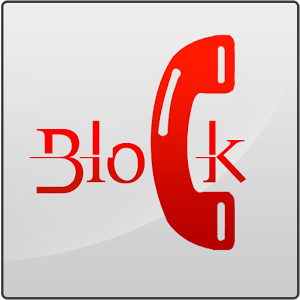 Why you shouldn’t block your outgoing Caller ID. Author bncaponiPosted on February 9, 2018 Categories Effectiveness, Efficiency, UncategorizedTags Blocking Caller ID, VoicemailLeave a comment on Caller ID and the Mystery Cold Caller. Top 10 mistakes cold callers make on the phone (# 10). Mistake #10 – Calling the same day and / or time of day over and over again, or calling the same person over and over again the same day. Author bncaponiPosted on October 22, 2016 Categories Best Practices, Effectiveness, EfficiencyTags appointment making, appointment setting, Best Practices, cold calling, Effectiveness, Efficiency, Mistakes, Top 10, Top Ten, VoicemailLeave a comment on Top 10 mistakes cold callers make on the phone (# 10). Top 10 mistakes cold callers make on the phone (# 9). Mistake #9 – Not letting the target know when this attempt is the last one. Author bncaponiPosted on October 22, 2016 Categories Best Practices, EffectivenessTags appointment making, appointment setting, cold calling, Mistakes, Top 10, Top Ten, VoicemailLeave a comment on Top 10 mistakes cold callers make on the phone (# 9). Top 10 mistakes cold callers make on the phone (# 8). 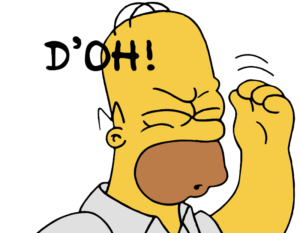 Mistake #8 – When leaving voicemails, not saying our phone number s-l-o-w-l-y and repeating it. Author bncaponiPosted on October 22, 2016 October 22, 2016 Categories Best Practices, EffectivenessTags appointment making, appointment setting, cold calling, Effectiveness, Mistakes, Top 10, Top Ten, VoicemailLeave a comment on Top 10 mistakes cold callers make on the phone (# 8). The most effective voicemail (and email) ever. Really. How to leave voicemails (and send emails) that get returned more often. Now that I’ve got your attention, let me lead with a caveat. 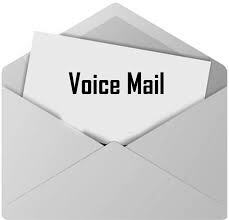 Most voicemails and emails do not get returned these days. Ten years ago, we averaged 22% of our voicemails returned. I refer to that as the pre-voicemail era. Two years ago it was closer to a disappointing 3%, and now it’s back up to a more reasonable 10% including emails returned. Author bncaponiPosted on August 25, 2016 August 25, 2016 Categories Best Practices, EffectivenessTags Email, Move On, Voice Mail, VoicemailLeave a comment on The most effective voicemail (and email) ever. Really. 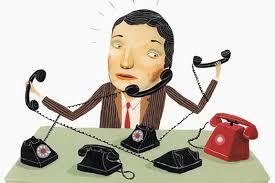 Here’s a story of a cold call voicemail that became a sale. We changed our health insurance for our company a while back. In today’s environment, it’s a lot of work. New laws (don’t get me started) have led to many new types of plans. Why do I share this story with you? No, it’s not because I want to you share in my pain—it is because the sale originated with a cold call. Author bncaponiPosted on August 25, 2016 Categories Best Practices, EffectivenessTags Email, Voice Mail, VoicemailLeave a comment on Here’s a story of a cold call voicemail that became a sale.